London Buy of the Week - Shoreditch loft is the perfect fit for a connoisseur of pop art and cocktails. 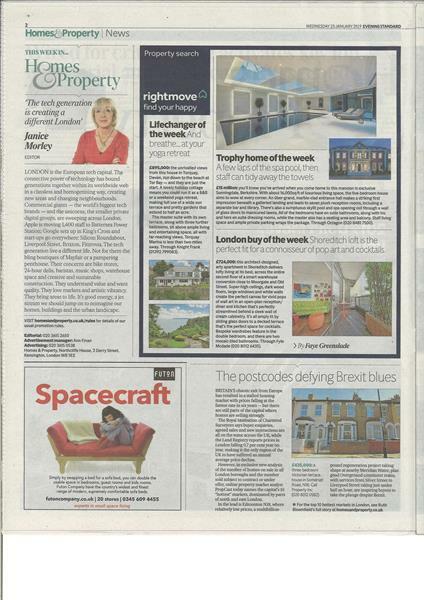 Press Coverage in the Evening Standard's, Homes and Property supplement, on a arty loft we are selling from our Shoreditch branch. 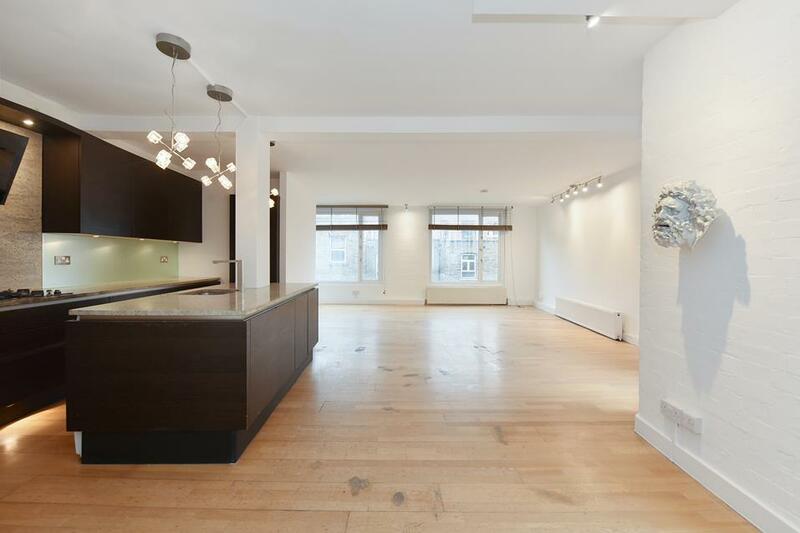 London buy of the week, Shoreditch studio will leave change for a cool new foodie lifestyle. 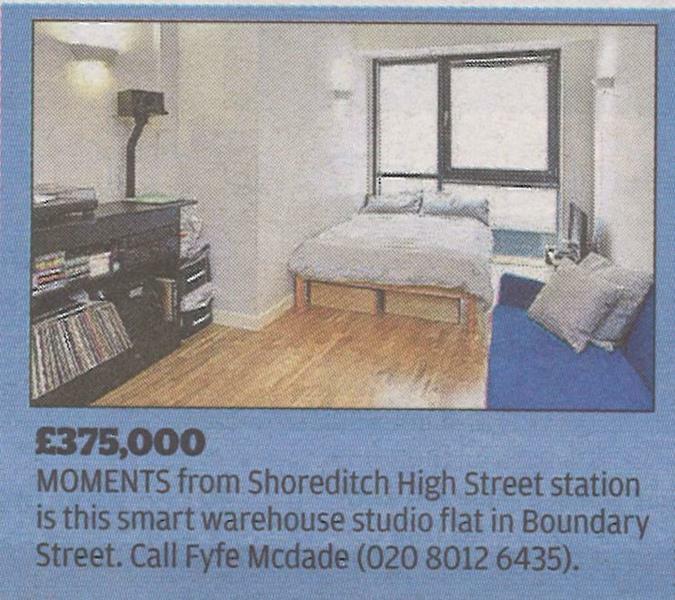 Studio Apartment on Boundary Street, marketed with our Shoreditch branch is featured as the Buy of the Week in the Evening Standard. Live now where Orwell put his future vision on paper. 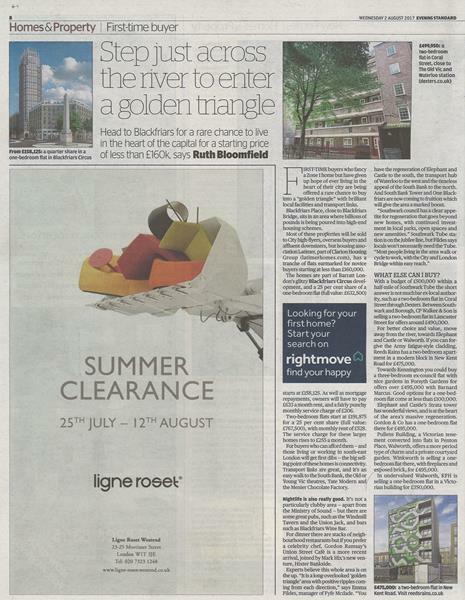 Evening Standard coverage on X-N5 development being marketed with Fyfe Mcdade from our Islington office. 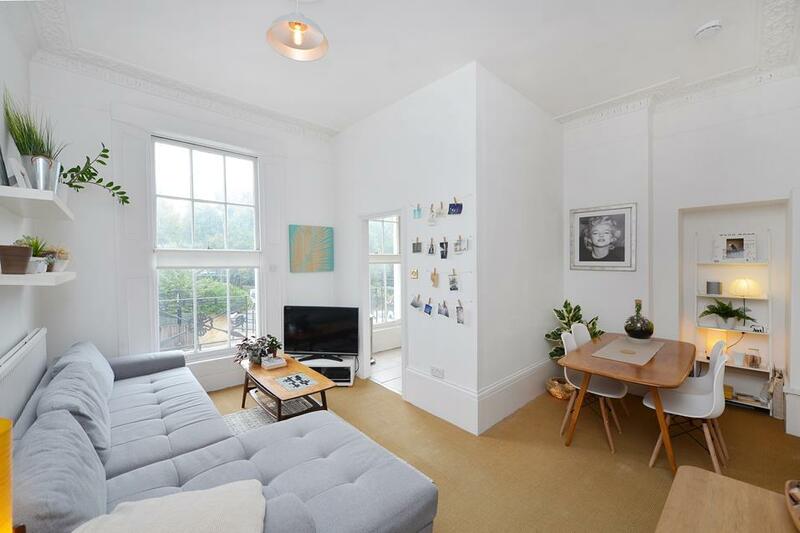 The development consists of 10 apartments by Canonbury Station. Step just across the river to enter a golden triangle. 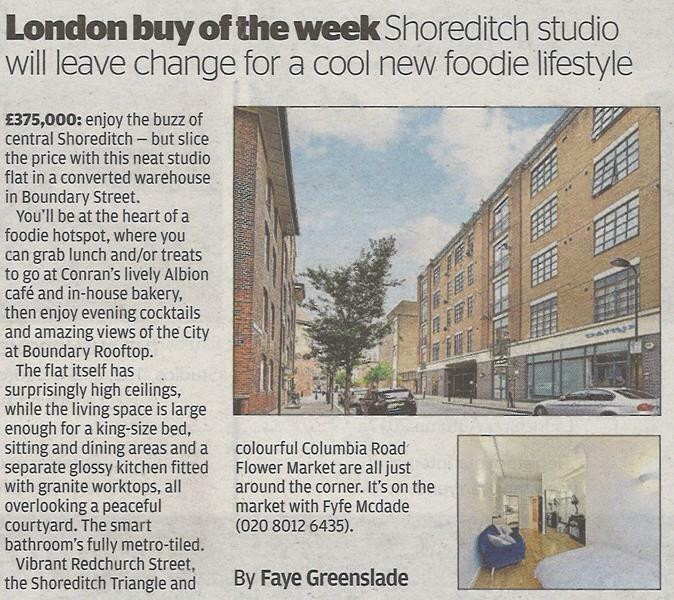 Comment from Waterloo Manager, Emma Fildes featured in the Evening Standard, Homes & Property section on Blackfriars Place. 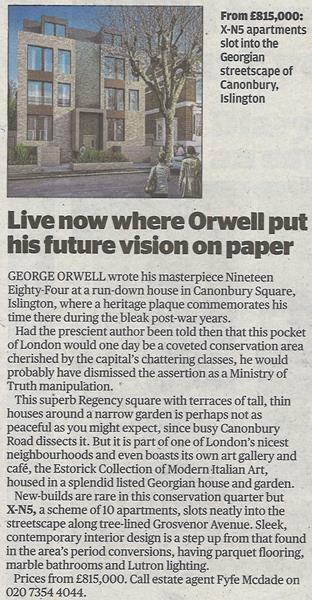 Evening Standard press coverage on new development, Borough Mansions. 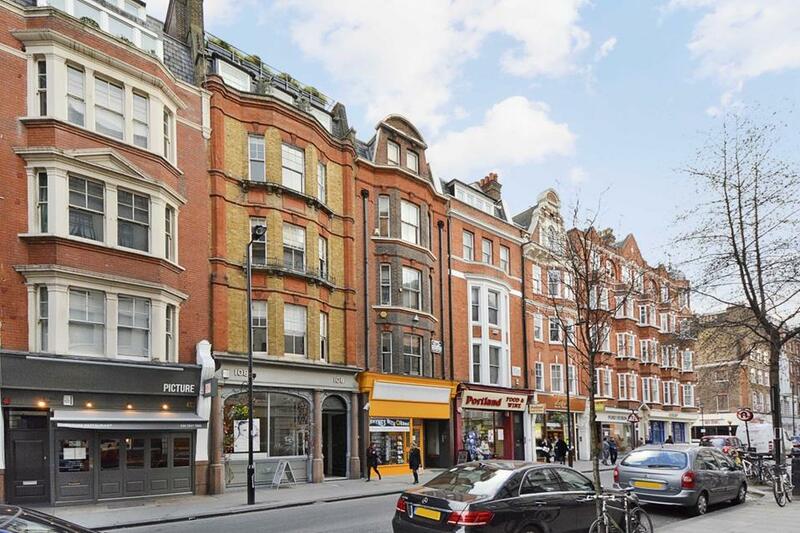 Situated on Borough High Street the development consists of four luxury apartments and is marketed from Fyfe Mcdade's Waterloo office.